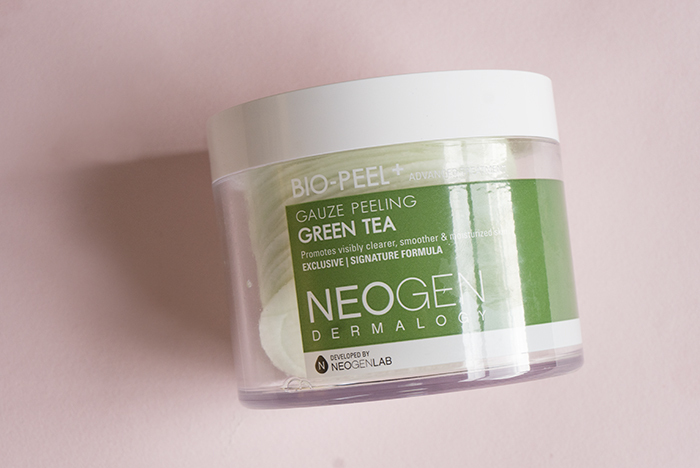 One of the most popular K-beauty exfoliating products are the Neogen Bio Peel pads. Read on to find out the correct way to use them and what results you should expect from them. Everyone, including their mother, sister, and brother is intrigued by the Neogen Bio Peel Guaze pads. And who can blame them? These innovative exfoliating pads are not only effective, but super easy—and actually fun—to use. The three different pads offer both physical and chemical exfoliation and work to leave skin glowing, fresh, and infused with antioxidant benefits. 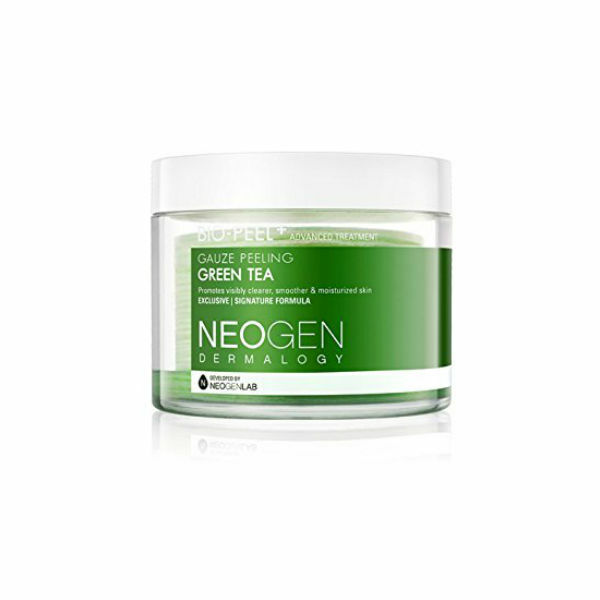 The Neogen Bio Peel Gauze Green Tea pads are perfect for anyone who has more sensitive skin and is looking for a soothing exfoliation with anti-acne benefits. The green tea extract works to brighten skin while you receive chemical exfoliation from pimple-fighting tea tree oil. 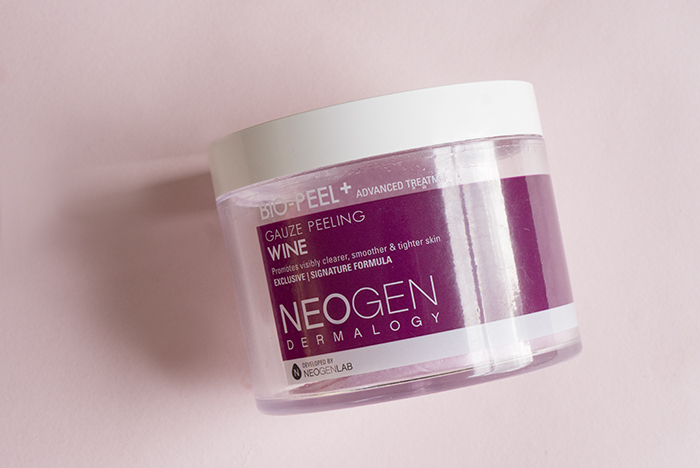 And the Neogen Bio Peel Gauze Peeling Wine pads are a cult favorite because…well…they smell like wine! 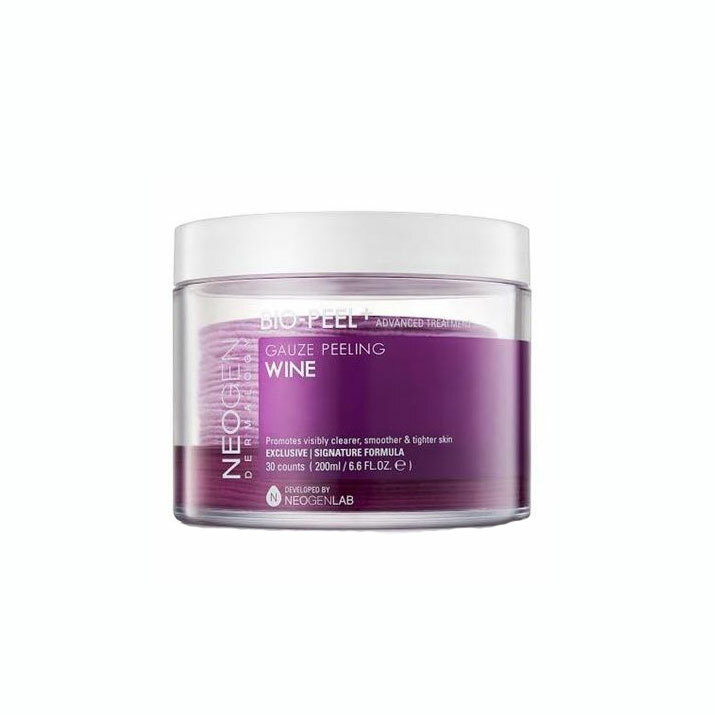 But in all serious, the main ingredient in these pads, resveratrol, is a red wine derivative that contains naturally occurring AHAs and antioxidants to help prevent wrinkle formation. 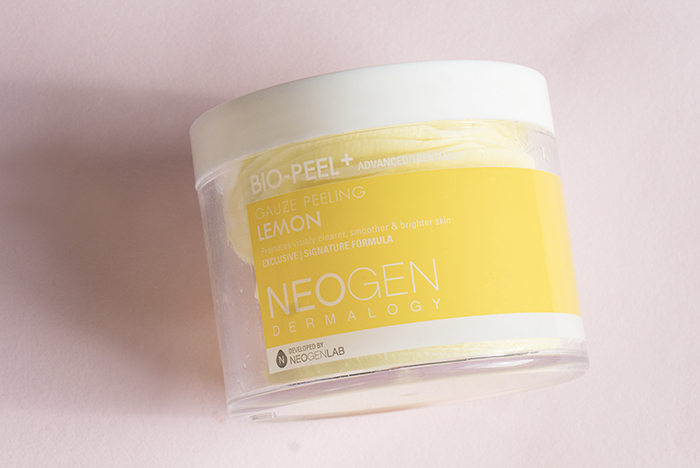 And finally, my personal favorite: the Neogen Bio Peel Gauze Peeling Lemon. I’ve already told you guys how much I love using these little pads before foundation application because the pad seriously scrubs away all the nasty dead skin cells on my face that make my foundation look patchy and gross. Thanks to a powerful combination of chemical exfoliants—including lactic acid, glycolic acid, and lemon, orange, and papaya extracts—combined with the physical exfoliation of the gauze side of the pad, this pad is a mainstay in my regular routine for smooth, wrinkle-free skin. So now that you know just why the Bio Peel pads are awesome, you need to know how to use them correctly, because the key to seeing the best results from these pads is to use them the right way and at the right time in your routine. First off, these pads should never be used for anything other than exfoliating skin after it’s been double cleansed. This means they’re not suitable for removing makeup or as a general cleanse (read: you can’t use these instead of makeup wipes). While the formula in these pads is mild enough for sensitive skin, it doesn’t contain any ingredients that effectively removes makeup. And since it contain acids, we wouldn’t suggest swiping these pads over your eyes. Instead, use these pads after you have double cleansed and before your toner. Think of them as an extra cleansing step (exfoliator) that power scrubs skin cells and preps them to better receive the nutrients in the next steps of your routine. Then, gently swipe the gritty side all over your face, making sure to get into all the nooks and crannies of your face that hold blackheads and clogged cells, like the sides of your nose and your chin. Also, don’t forget your neck! It’s a wonderful soft, specially formulated fabric that helps remove any leftover debris and swipe off the dead skin cells the grittier side just exfoliated. Swipe the quilted side all over your face. Bonus: After swiping, you can also pat the quilted side into skin to really let the formula seep in. And then there’s one more important final step. Once you’re finished with the quilted side, throw away the pad, and rinse your face with lukewarm water. While you may think you don’t need to rinse your face, doing this is actually important for two reasons: The formula of the pads is sticky and was made to be washed off, so your face will be annoyingly sticky if you don’t. Secondly, you just physically exfoliated, and it’s always best to rinse off your skin after doing so to remove the dead skin cells you just sloughed off. After rinsing and patting your face dry, I can promise you’ll be amazed at how soft and bright your skin feels and looks. You’ll also notice that your toner, essence, and serum apply much easier and feel more effective after using these pads. 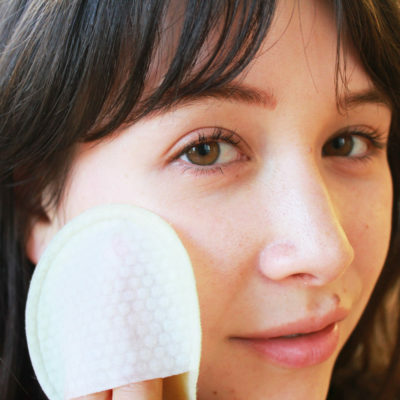 The Neogen Bio Peel Gauze pads are a cult favorite for a reason, but you need to make sure you use them the right way. Never use them as a makeup remover, utilize both sides of the pad, and make sure you wash off the formula after applying the pads. Your skin will thank you and you’ll see awesome results. + What do you love about the Neogen Bio Peel pads? What are your favorite chemical and physical exfoliators in one? Let me know in the comments!